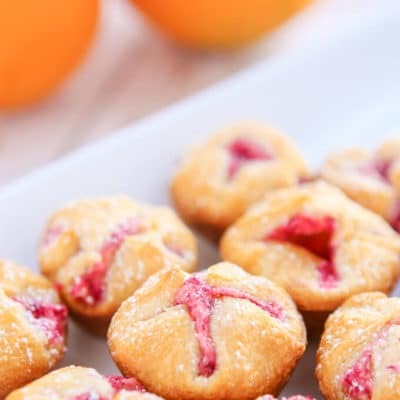 These easy to make cranberry orange bites are the perfect addition to your baby shower menu, Thanksgiving menu, or your breakfast plate. My all-time favorite flavor combination is cranberry orange and that’s before I even knew cranberry orange was a real thing. 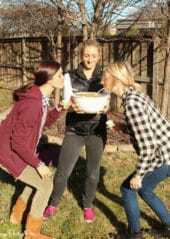 My mom used to drink cranberry and orange juice mixed together and got me hooked on it, and then I started experimenting with the flavor combination in things like my one-pot couscous recipe and the most amazing cranberry orange bread. Pretty much any time the two flavors are paired, it’s gonna be delicious. 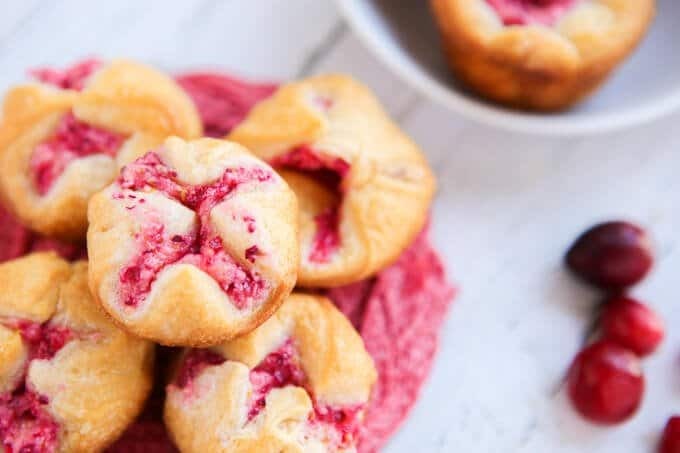 These cranberry orange bites take two of my favorite things – store-bought crescent roll dough and cranberry orange – and make a delicious appetizer or sweet treat that’s perfect for any upcoming holiday parties. 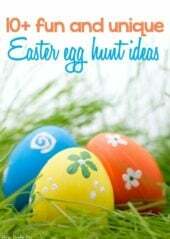 Or a baby shower. Or a brunch. 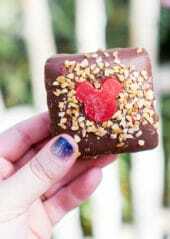 They’re so simple to make. Simply make the cranberry orange mixture. 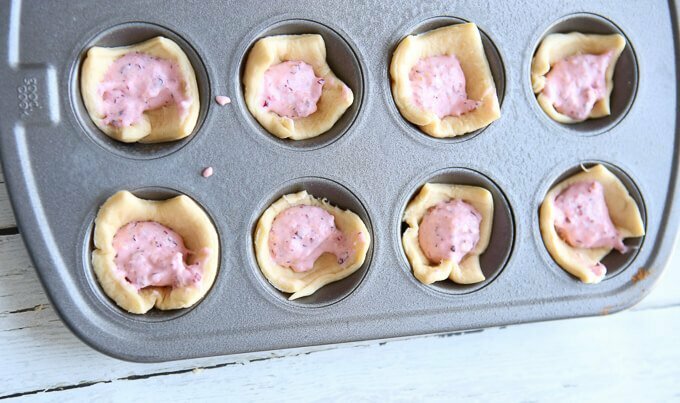 Roll out your crescent roll dough and cut into small squares. 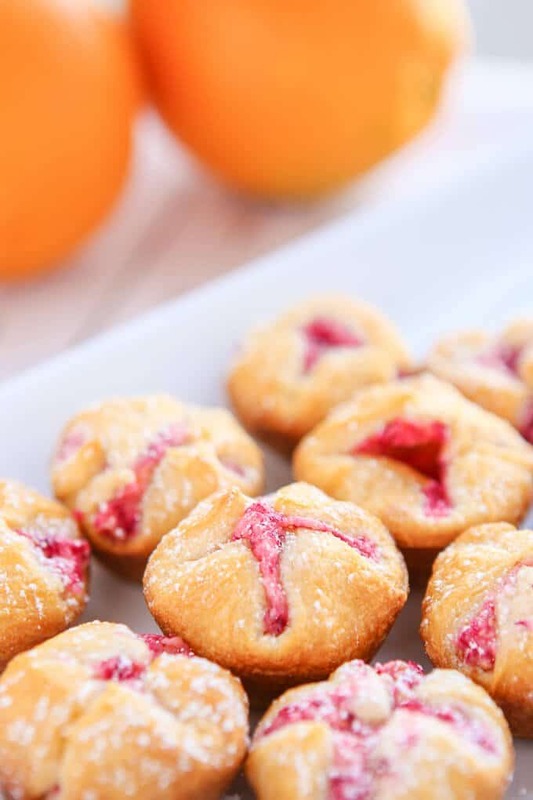 Put those squares into mini muffin tins and fill with the cranberry orange mixture. 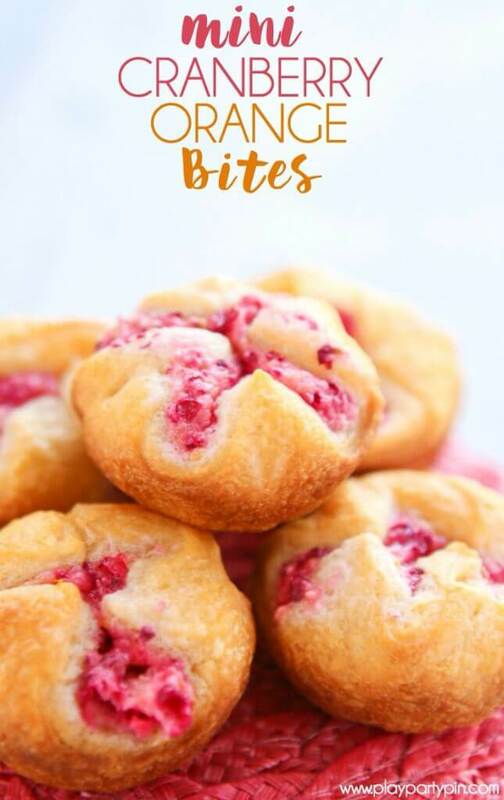 I think they’re prettier if you fold up the edges to make them kind of like cranberry orange puffs but if you’re short on time, you can definitely just leave them nice and open as well. They’ll bake and taste just the same. 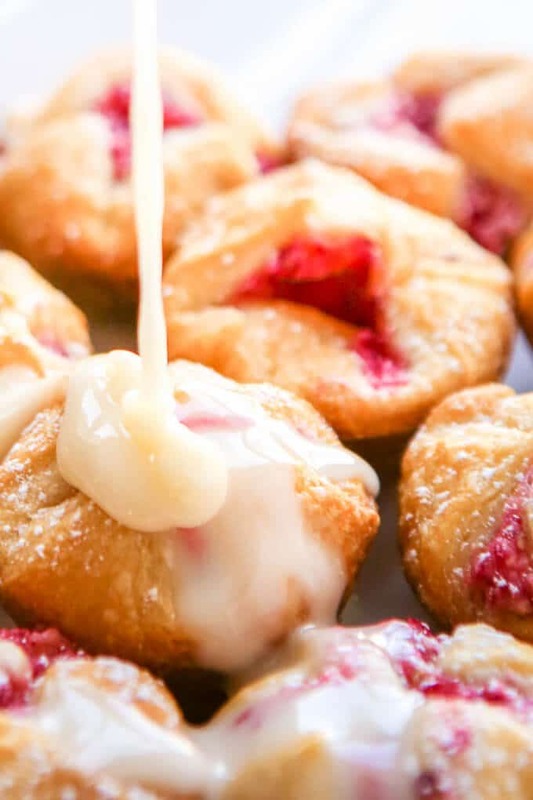 Bake them in the oven for about 10 minutes or until the crescent roll is nice and golden brown and you’re done. Unless of course you want to add this delicious orange glaze right on top. It really does add the nice extra punch they need but they’re still yummy without it. 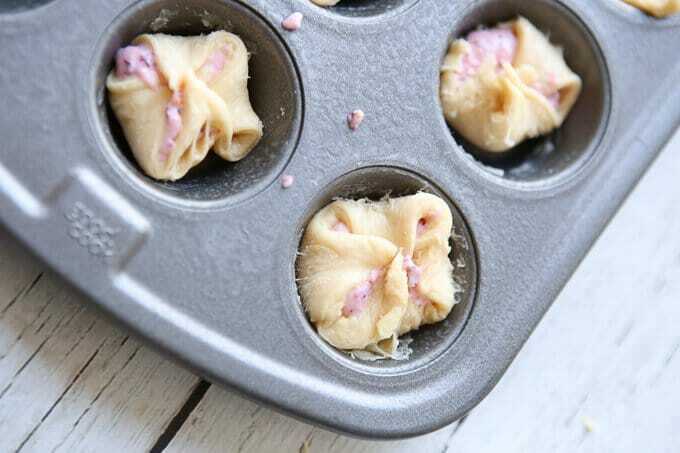 Spray 36 mini muffin tins with non-stick spray. Chop up fresh cranberries in a food processor. Add the remaining ingredients into the food processor and let blend until smooth. Open your can of crescent rolls and lay out in one long rectangle. 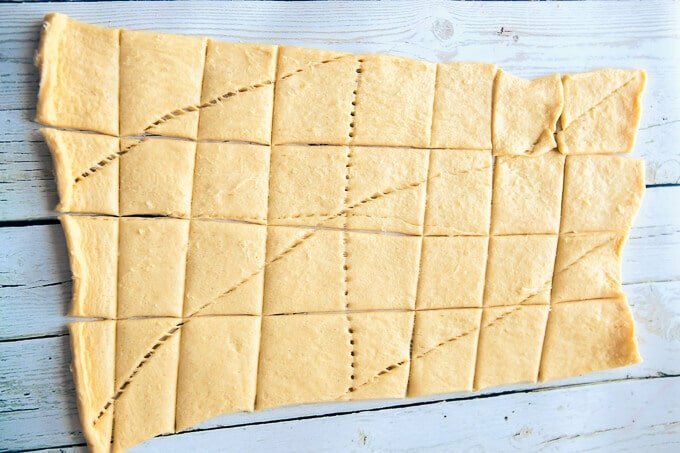 Cut crescent roll dough using a pizza cutter into 36 equal squares. 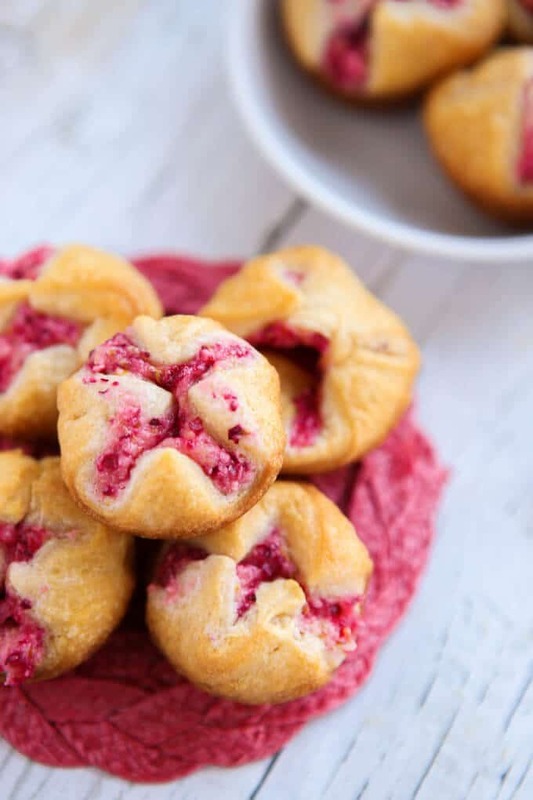 Fill each crescent roll square with approximately 1 tsp of the cranberry orange mixture. It's okay if you get a little less or more, just avoid getting too much or you won't be able to fold them. Fold up corners of crescent roll square on top of the mixture. 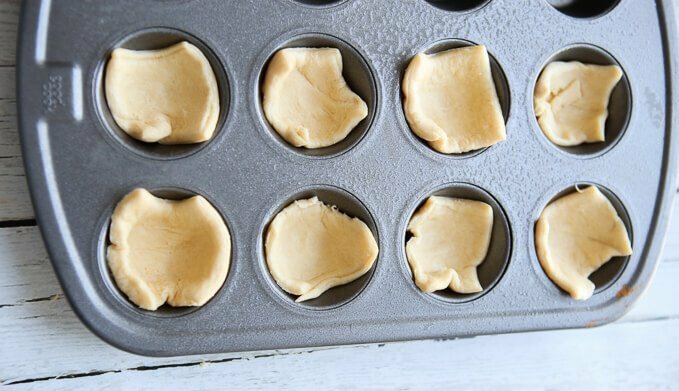 Bake in oven for 11-13 minutes or until crescent rolls are golden brown. Do you put the leftovers in the fridge or leave them out? I left mine out but to be honest they didn’t last much longer than a few hours Shannon. I have a baby shower to go to this weekend! I am taking these as my contribution to the treat table. 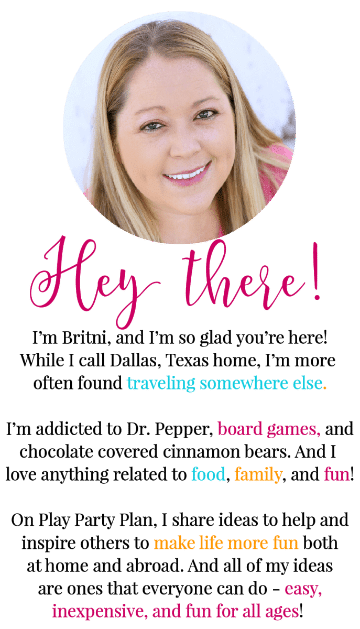 I love to experiment with store-bought crescent rolls and always looking for new recipes. Glad i found these mini bites!